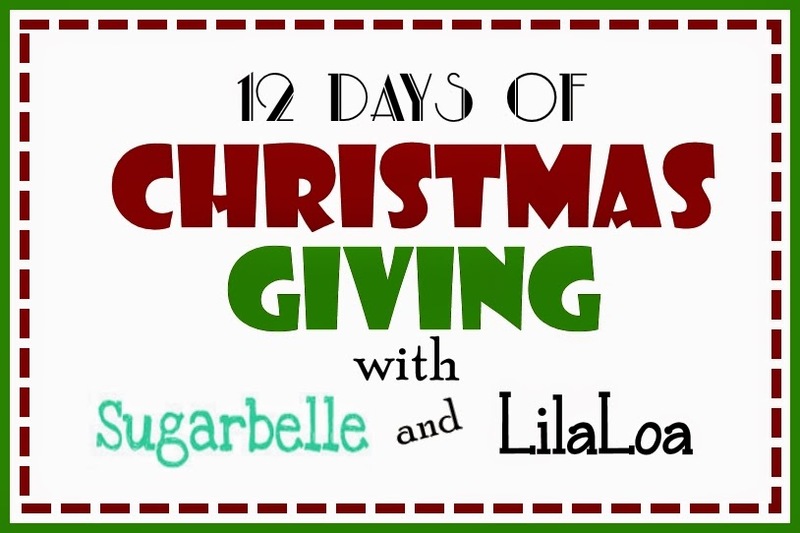 If you missed the first three days of Sugarbelle and LilaLoa's 12 days of excitement and giving -- don't worry! There is still plenty of time to enter!! 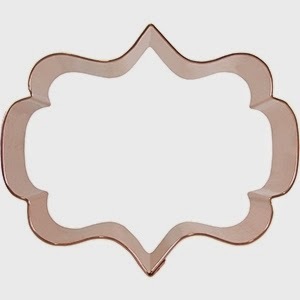 Day 3-- "You Can't Judge A Cookie By It's Cutter" by Patti Paige and a $25 gift card from Cheap Cookie Cutters. 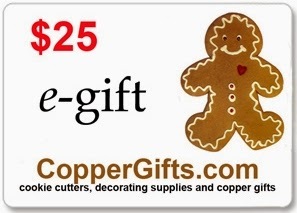 Day 4 -- $25 gift cards to Copper Gifts. Day 5 -- THREE letter cutter sets from Cake by Ximena. Day 6 -- $50 gift card to Karen's Cookies. Day 7 -- $50 gift card for The Cookie Countess stencils and Stencil Genie from Creative Cookier. Day 8 -- 100 Animal Cookies cookie decorating book. Enter at LilaLoa and again at The Sweet Adventures of SugarBelle. Which brings us to.... today! Day Four! Yeay! More giving! Today's prize is super close to my heart. How close? THIS CLOSE. Copper cutters close. It doesn't get closer than that. we are giving away TWO $25 gift cards to Copper Gifts!!! To enter, leave a comment with your favorite stocking stuffer below. 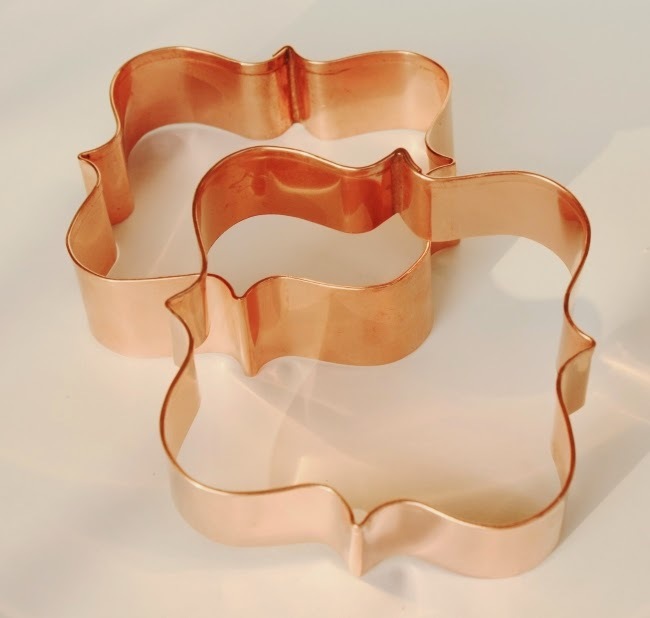 For additional entries, be sure to visit Copper Gifts, and check out Sugarbelle’s, Lila Loa, Copper Gifts on Facebook. You must be 18 or older to win, US entries only please. The giveaway will end at midnight MST December 11, 2014.